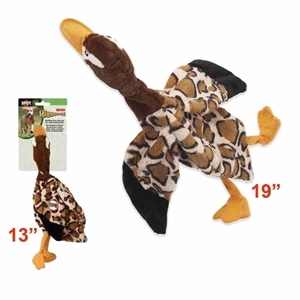 Enjoy hours of entertainment flip flopping this stuffing free Skinneeez toy. 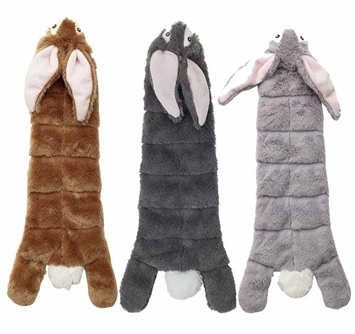 Skinneeez have 2 squeakers- 1 in the head and 1 in the tail- for double the fun. 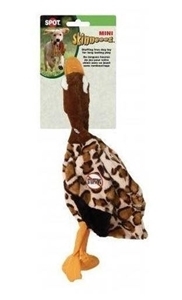 • Mini Skinneeez Plush Dog Toy Wild Geese 13"
• Skinneeez Plush Dog Toy Wild Geese 19"